On February 20, 2009, we celebrated John’s Mom’s 80th birthday. We had a nice party at Barb and Jory’s (John’s sister and brother in law) house. It was somewhat low keyed but we had a real nice time. 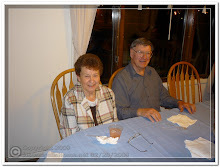 Click HERE to see some pictures of mom’s 80th birthday party. Also, click on the videos below to see two short videos from the party. On July 5, 2008, we celebrated Carol’s mom’s 80th birthday. People came from far and wide to celebrate with Myrtle; and we all had a great time. HERE is the first round of pictures from Myrtle’s 80th Birthday Party. There are quite a lot of pictures here. To view a slideshow of the pictures click HERE. 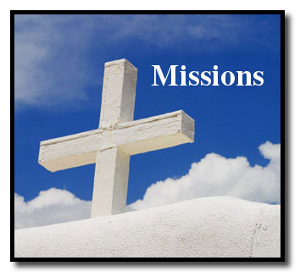 If you would like to see an overview of all of them, click HERE. We would love to have you leave comments. Marlys Dolliver made up a very nice Smilebox slideshow from some of the pictures from Myrtle’s 80th birthday party. Check it out by clicking the picture to the right or click HERE. Thanks Marlys, it really nice. HERE is a ten minute video of the memorabilia at Mom’s 80th birthday party. Enjoy. What a fantastic bunch of pictures you have done. You all did a great job honoring a great lady!!!!!! WOW! What a special time. memory. Debby has been continually amazed at the family. have without needing liquor license’, (joke). Dear Auntie Myrtle: It was so fun to visit your birthday party in pictures! I’m so sorry we missed it, but it looks like you had a wonderful time. Our best wishes. Pingback: McDougalls Home » Mom’s 80th Birthday Party Videos.